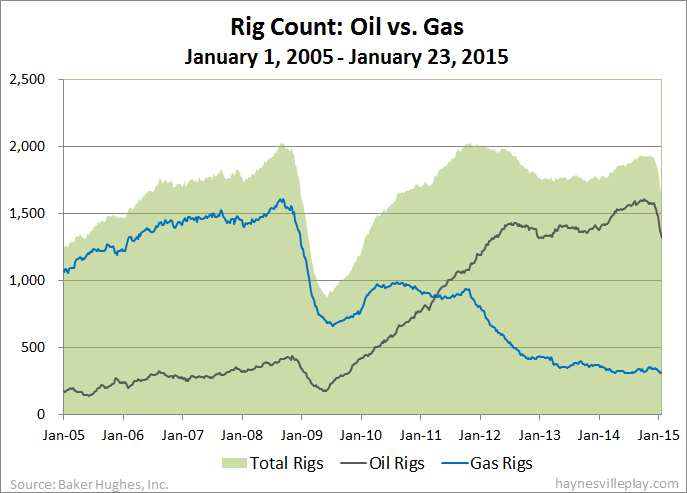 The Baker Hughes U.S. rig count continued its precipitous drop this week, losing 43 rigs to end at 1,633. Oil rigs were down 49 (258 over past seven weeks) to 1,317 and gas rigs were up six to 316. By type, horizontal rigs were down 24 to 1,229, directional rigs were down seven to 146 and vertical rigs were down 12 to 258. Among gas rigs, horizontal rigs were up three to 235, directional rigs were unchanged at 48 and vertical rigs were up three to 33.